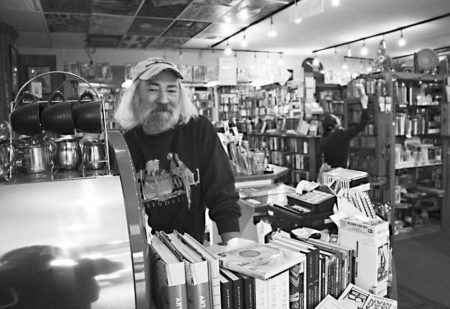 Owner Charles Holboke has been selling books since 1978! He originally operated in Seaside under the name Turnaround Books from 1978-1999, but Godfather’s was opened in 1993. We will be celebrating our 25th anniversary in November, 2018!! Visit us today in beautiful downtown Astoria, Oregon and browse our eclectic selection of new and old books, tarot cards, incense, gifts and trinkets! If the mood suits you, there is also fresh brewed house coffee or espresso to enjoy in our quirky atmosphere with free wi-fi–maybe you’ll strike up a bit of conversation with one of our colorful regulars!